In this interview Dawn Hughes, Good to Great Schools Australia’s Senior Teaching Coach, explains what Explicit Direct Instruction is and what it means for teachers and students. Dawn is an experienced mainstream and special education teacher specialising in explicit pedagogies. She has lead school implementations of Explicit Direct Instruction and coaches and mentors experienced and graduate teachers. Explicit Direct Instruction, or EDI, is a very effective and successful way for teachers to deliver lessons. The instructional elements, which many teachers already use, were developed and established into a structured pedagogy by John Hollingsworth and Sylvia Ybarra. What techniques and practices are central to Explicit Direct Instruction? Explicit Direct Instruction is made up of a set of norms for both teachers and students. The teacher behaviour norm, known as TAPPLE, is a technique that checks for student understanding while the teacher is teaching. TAPPLE is an acronym that makes it easy for teachers to remember the six components of effectively checking for understanding. For students, these are called the engagement norms. They are a set of behaviours every student should be doing at any given time throughout the lesson. The engagement norms promote student active participation rather than passive engagement. Central to these norms for both teachers and students is the frequent checking for understanding of the learning as it’s being taught. Through the frequent checking of understanding teachers can observe in real time whether students are learning. There is the evidence. The answers students give allow teachers to make instructional decisions on the spot rather than waiting until assessment time. The students have plenty of support with partner-sharing and repetitive exposures to skills and concepts. The pedagogy promotes student success. How did you become involved with Explicit Direct Instruction? 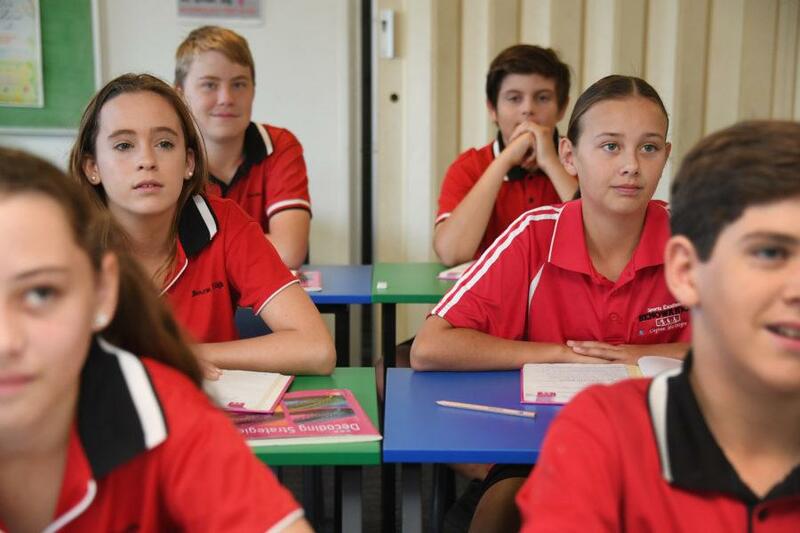 Back in 2015 the Queensland Department of Education transitioned Year 7 from primary to secondary school. At this time, I took a step into the secondary sector after working many years in primary classes and special education. My role in the high school was to roll out an explicit pedagogy across the whole school in all faculties. My knowledge and teaching of diverse and challenging students gave me the experience to demonstrate explicit approaches. The aim was to lift literacy and numeracy in the high school. With many students entering Year 7 ‘at’ and ‘below’ the national minimum standard drastic measures needed to be taken. I was fortunate enough to work with a forward thinking principal who allowed me to take the reins in making sure each faculty engaged with Explicit Direct Instruction. I was privileged enough to be professionally developed by both John Hollingsworth and Sylvia Ybarra. What kind of students is Explicit Direct Instruction suitable for? EDI is suitable for all students. The structure of the lesson allows for delivery at any year level with suitable support for all learners. I have collaborated with senior high school teachers to use this pedagogy with senior students. It worked. Once students got around to the new style of teaching they learned at a faster pace and were more than happy to show their whiteboard answers and problem solving. What kind of results have you achieved with Explicit Direct Instruction? I taught an enhanced English class that was a model class for teachers and heads of departments to come and observe at any given time. In this class students attained one and two bands higher in NAPLAN in less than a year – with the results tested by an independent third party. For the school as a whole, we lifted NAPLAN results in all five areas for two consecutive years. What kind of feedback have you heard from teachers after they have started using Explicit Direct Instruction? For new and graduate teachers with no default pedagogy Explicit Direct Instruction is a great way to become aware of what you are doing, what your students are doing, and what the elements of a well-structured lesson look like. So the buy-in for new teachers is easy. New teachers have also indicated that disruptive and other negative behaviour is limited when they have a well-planned lesson delivered explicitly. Teachers like that they have built-in support from the engagement norms and the evidence that learning is taking place. For experienced teachers learning a new pedagogy can be scary. Some teachers do not believe they need to change their practise and this can be challenging. However, with experienced teachers, once they are practising EDI they wonder what they were ever doing before. Find out when Dawn Hughes and other leading experts in evidence-based pedagogy will conduct school professional development training in your area.